Early January brings more with it than another new year. 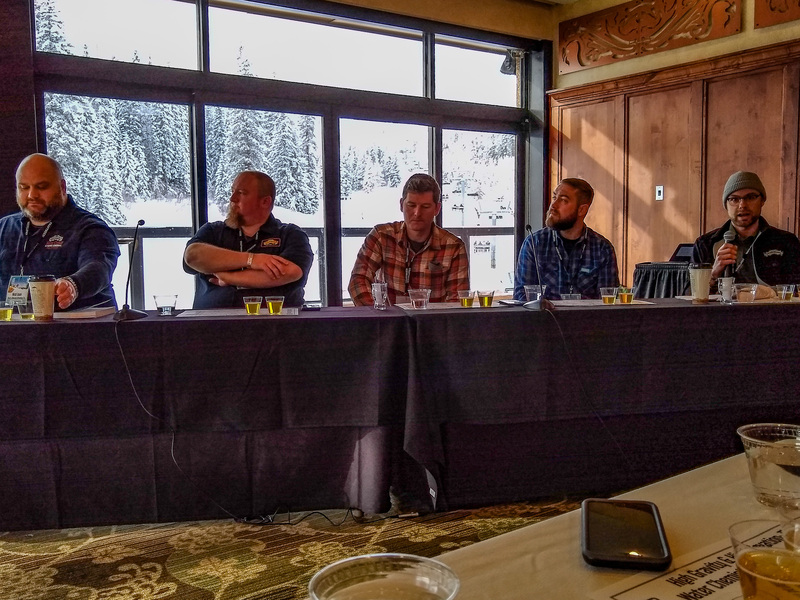 The Big Beers, Belgians, and Barleywines Festival in Breckenridge, Colorado is the true highlight of the year’s beginning – a sort of birthday celebration for the beer-harboring Earth as it makes one more journey around the Sun. There are many highlights of the Big Beers festival weekend, as mentioned in my previous post, The 2019 Big Beers, Belgians & Barleywines Festival Experience. However, there’s a particular subsection of this event that’s worthy of a series of blog posts all its own – the seminars! Water chemistry is easily one of my weakest areas of knowledge when it comes to beer. I was prepared to have a lot go over my head, and have to do some post-seminar studying to get what I wanted out of it. While the pace was relatively quick and some aspects of the seminar a bit difficult to grasp, the panel did a great job of breaking everything down into different take away points that those with any depth of knowledge could benefit from. Each panelist performed a different experiment revolving around water profile, and presented their findings in the seminar. The trials were to determine if a triangle test given to a panel of tasters that were representative of a public audience (no sensory training) could tell the difference between two beers whose only difference was water chemistry. Two saisons were brewed on the same 10 bbl system as identically as possible with one having an emphasis on chloride, and the other on sulfate. About half of the tasters in a triangle test were able to distinguish the odd sample, noting the chloride sample had greater bitterness, mouthfeel, and phenolic character, while the sulfate sample was more fruity and dry. This trial succeeded in proving different sulfate to chloride ratios affect not only flavor, but also mouthfeel. Two pale lagers were brewed on the same 4 bbl system as identically as possible with one utilizing soft Angwin spring water, and the other utilizing hard Lewelling spring water. 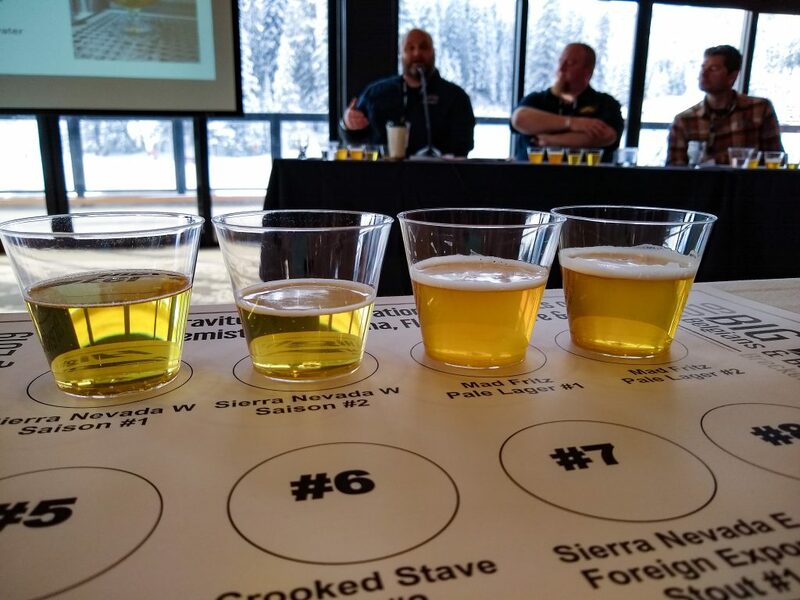 While slightly fewer than half the tasters of the triangle test were able to identify the odd sample, the two beers were nearly identical in flavor profile (see the spider chart on pg 33 of the seminar slides). Though the two water profiles were from opposite ends of the spectrum, the other beer ingredients diluted their detectability in the final product. This trial seemed to disprove the idea that terroir can be perceived from an unadulterated water profile. Personally, I’d like to see more trials like this one performed, because I’d really like to believe specific water profiles affect beer on a larger scale. Hah! Two American IPAs were brewed on the same 23 hectoliter system as identically as possible with one having chloride/sulfate ratio of 1.5/1 (chloride heavy), and the other 1/1.5 (sulfate heavy). About 60% of the tasters in a triangle test were able to distinguish the odd sample, noting the chloride sample had a more diacetyl-like character, crackery flavor, and stone fruit flavor than the sulfate sample. Personally, I felt the chloride sample came off as more bitter, while the sulfate sample had a fresher hop aroma and softer flavors overall. 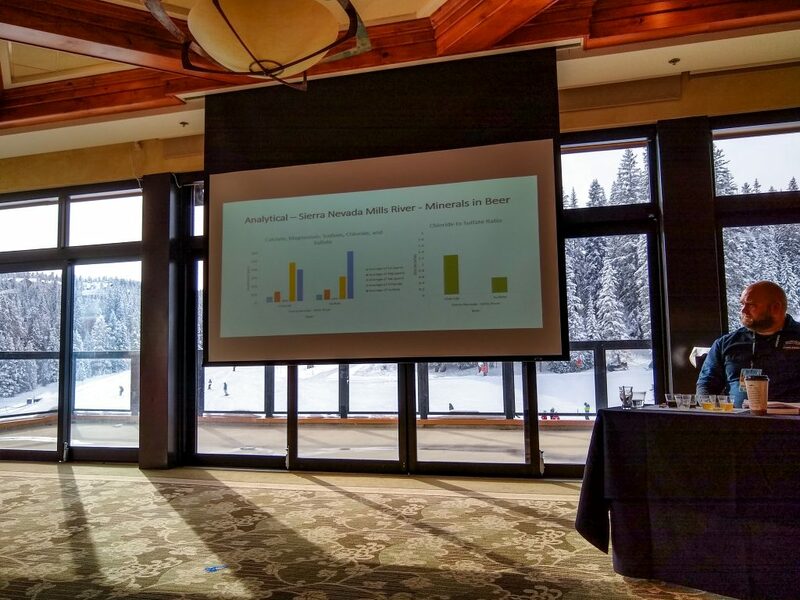 This trial confirmed the findings of the Sierra Nevada West Coast trial, in that adjustments to the chloride/sulfate ratio will bring noticable differences to beer. Two foreign export stouts were brewed on the same 20 bbl system as identically as possible with one having an emphasis on chloride, and the other on sulfate. Only about 35% of the tasters in a triangle test were able to distinguish the odd sample, and the only notable difference between the two was a slightly heavier impression of mouthfeel for the chloride sample. This trial seemed to prove attention to the chloride/sulfate ratio is not an efficient use of energy for darker beers like stouts, as the minerals and other flavors provided by the malt mask any character suggested by adjustments to the ratio. Water profiles are important in small ways, which are not always noticeable to an untrained panel. However, trained panels do notice, and it may be the difference between receiving a medal or not. Pay attention to brewhouse efficiency before focusing on water profiles. 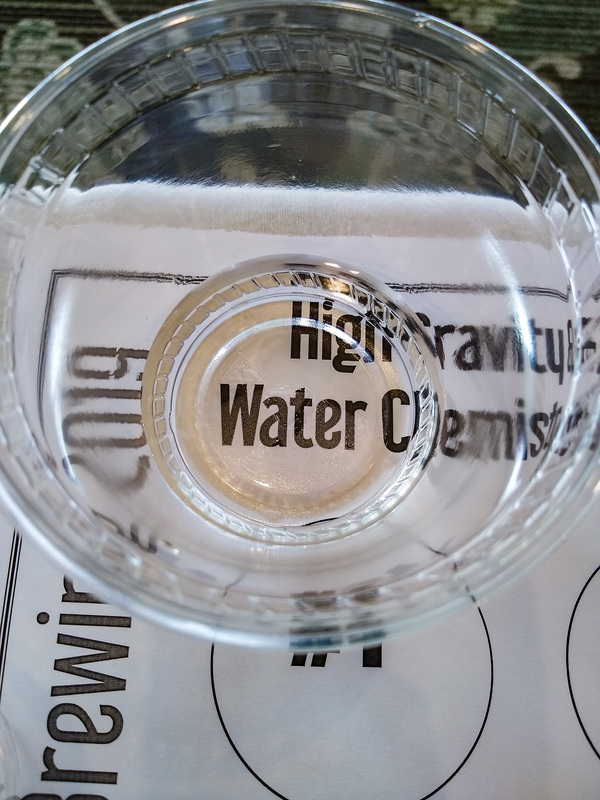 Water chemistry should be one of the last things you tinker with when dialing in a recipe. If you’re curious about the profile of your brew water, field kits are quite reliable, and can mirror the results received from labs. Seminar Slides can be found by clicking here! Water might not be the sexiest beer ingredient, but it’s still deserving of attention if your goal is to create world class beer. Many thanks to the panelists, volunteers, and coordinators that helped make this seminar experience so great! Come back in two weeks for 2019 Big Beers Seminar Experience Part II: Foraging For Beer! Still curious about brewing water? Check out Water: A Comprehensive Guide for Brewers by John Palmer and Colin Kaminski.